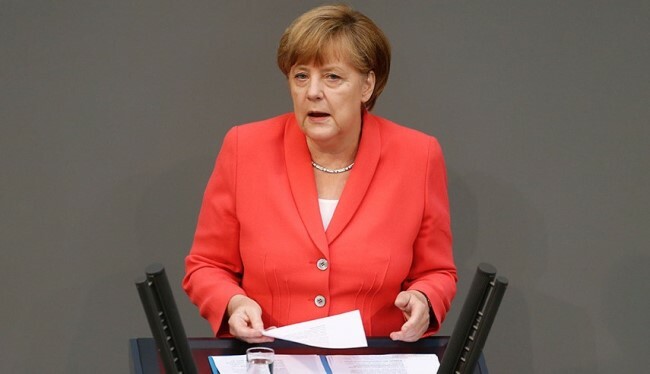 (March, 19th) In a deal in which German Chancellor Angela Merkel played a large role, the European Union and Turkey have agreed that new asylum seekers – many from Syria — who arrive in Greece from Turkey will be returned to Turkey. In a deal in which German Chancellor Angela Merkel played a large role, the European Union and Turkey have agreed that new asylum seekers – many from Syria — who arrive in Greece from Turkey will be returned to Turkey. The leaders of the 28 nations in the bloc and Prime Minister Ahmet Davutoglu of Turkey approved the accord “over strenuous objections from humanitarian groups, who said the deal violated international law on the treatment of refugees,’’ The New York Times reported. “Putting this massive and delicate operation, which does not call for migrants already in Greece to be sent back, into effect over the course of a single weekend would be difficult. European officials wanted to quickly put the measure in place to prevent a rush of migrants seeking to reach Greece before the deal goes into effect, although the exact cutoff date had not been formally established. But Greece currently lacks the infrastructure to ensure that migrants are given a fair hearing before they are sent back to Turkey, according to European officials,’’ The Times reported. The agreement may be at least temporarily good news for Chancellor Merkel, who helped develop the plan at a time when much of the Continent, including many in her own country, rejected her policy of taking in almost unlimited numbers of migrants. The European/Mideast refugee crisis is expected to be a major topic for Mrs. Merkel and other leaders at the G7 Summit in Japan on May 26-27. The Boston Global Forum has been working with G7 Summit planners on discussion points for the conference as part of the BGF’s BGF-G7 Summit Initiative. “The bigger headache will be when the smugglers start rerouting migrants to Italy through Libya because you’ve got a failed state there so no real government to make a deal with,” said Guntram Wolff, the director of Bruegel, a research organization in Brussels.